blue eyed freckle: next up: MOBILE! 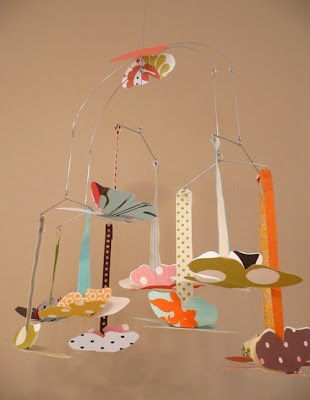 I didn't make this mobile. I am not sure exactly what I plan on doing for mine, maybe cranes? abstract shapes? who knows, but I found a nice tutorial on how to make a moblie (not that it is rocket science) on this website! Here comes my next baby project! Who knows... if it turns out well, maybe I'll start making these for my etsy shop (yeah I haven't been doing much with that lately because of my obsession with making things for baby, and the orders I fill for local stores).